The Outrage Machine project was a collaboration among New York University’s Interactive Telecommunications Program, Viacom and NYC Media Lab. It was aimed at interrogating social outrage through the creation of engaging screen-based interactive storytelling experiences that address social outrage. The project considered: Is Internet outrage the new normal? What makes a news topic both outrageous and emotion-tugging, and how can we use technology to help explain the scale and severity of the topic in an accessible way? Over the course of the Fall 2015 semester, Gabe Barcia-Colombo, a faculty member at ITP and a professional video artist, led the project with five groups of graduate students who prototyped digital stories around topics they chose: Surveillance, Body Image, Privilege, Outrage Machine & Censorship. Along the way, Viacom executives gave feedback on the prototypes to help the teams create work that confronted, examined, and lent nuance to topics that incite outrage online. 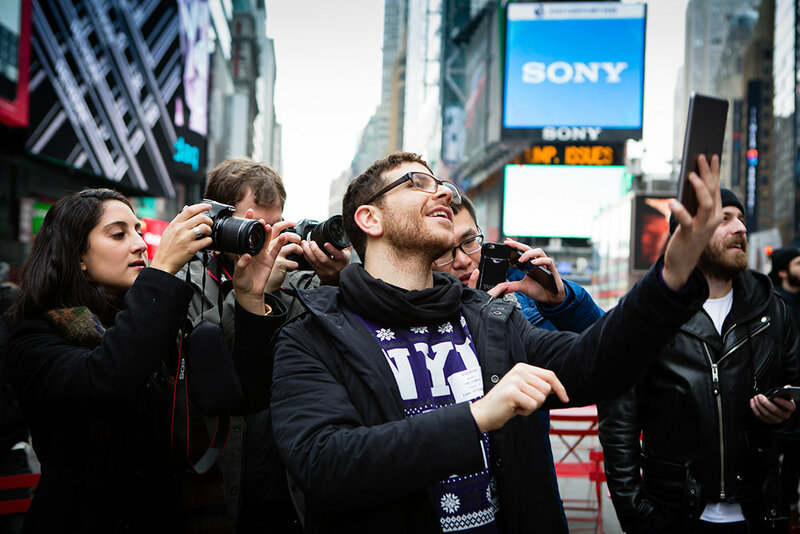 In January 2016, the final projects were presented on the billboard on Viacom building in Times Square. The projects encouraged public interaction with the billboard via SMS and mobile web applications.